Converts folding walker into wheeled walker. Allows for 8 height adjustments. 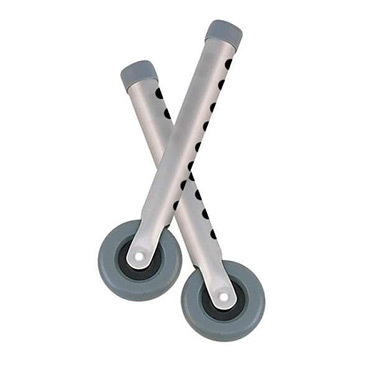 Rubber wheel allows walker to roll easily and smoothly over irregular surfaces. Includes rear glide caps, and glide covers allowing use on all surfaces. 350 lb. Weight Capacity.